The IAGD has participated in the AGD’s annual advocacy event at the capitol in Washington to lobby state representatives on national issues such as student debt, antitrust protection of the health insurance industry, increasing Medicaid reimbursement, and midlevel providers. 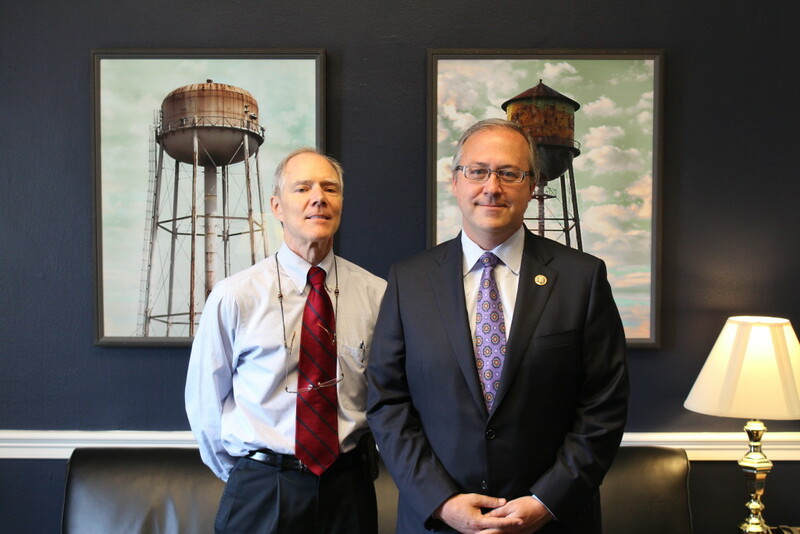 I recently had the pleasure of a meeting with Representative David Young of the third district of Iowa at my office. Congress was on recess. He nicely responded to my request for a meeting at my office. We had very good discussion about current issues affecting dentistry. 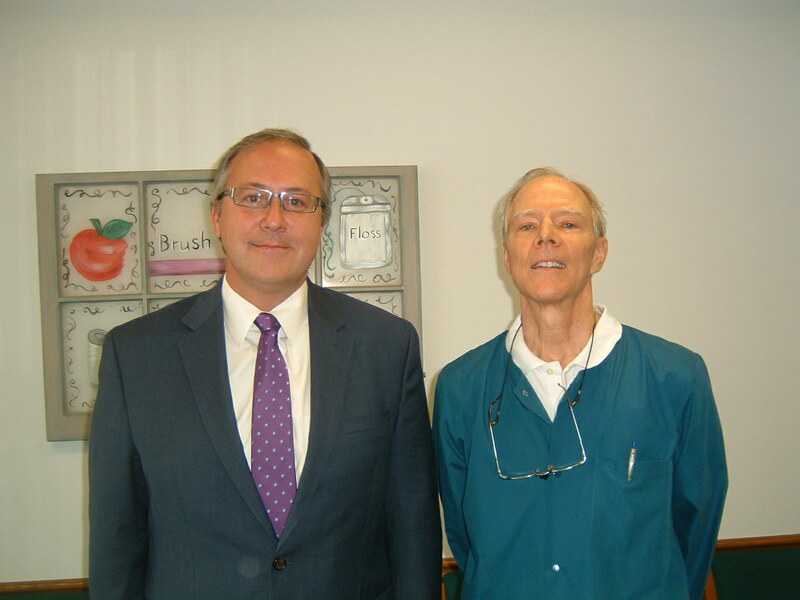 First and foremost we discussed midlevel dental providers. Under the Affordable Care Act, HRSA has been authorized to fund the Alternative Dental Provider Demonstration Program which creates midlevel providers. Funding has not been provided by the program and the House Appropriations Committee expressly prohibited the use of health workforce funds to use for the demonstration program. I explained the inadequate education of midlevel providers for the complicated involved procedures of restorative dental treatment. A dentist should be the only provider of restorative treatment. Midlevel providers do not have the training necessary to provide proper treatment. He understands that funding has not been provided for the implementation of the midlevel providers. The lack of funding will continue due to the sequestration. He was receptive to the inadequate ability of midlevel providers to provide dental treatment. Secondly, funding for the CDC Smoking Prevention Program has been reduced substantially. I explained the benefit of the program in education for young adults and teens about the health problems involving tobacco. He explained that funding for IAGD Representative David Young all programs has been reduced due to sequestration. A compromise funding bill has been written but it may not pass. Negotiation will be required. The final funding bill may provide more funding for the CDC. Lastly, dental residency programs for general dentistry, pediatric dentistry, public health dentistry have had funding reduced. I explained that general dentists and pediatric dentists are the front line in providing dental treatment. We are the primary care providers. The residency programs develop the skills necessary for primary care dental providers. Public health residencies develop dentists for service in public health settings, specifically serving the underserved and the community health programs. Again, he explained that the reduction in funding was due to sequestration. He was receptive to increasing funding for the programs. However, an increase in funding is dependent upon a future funding bill. The meeting was very friendly. He took notes and was interested in the discussion. 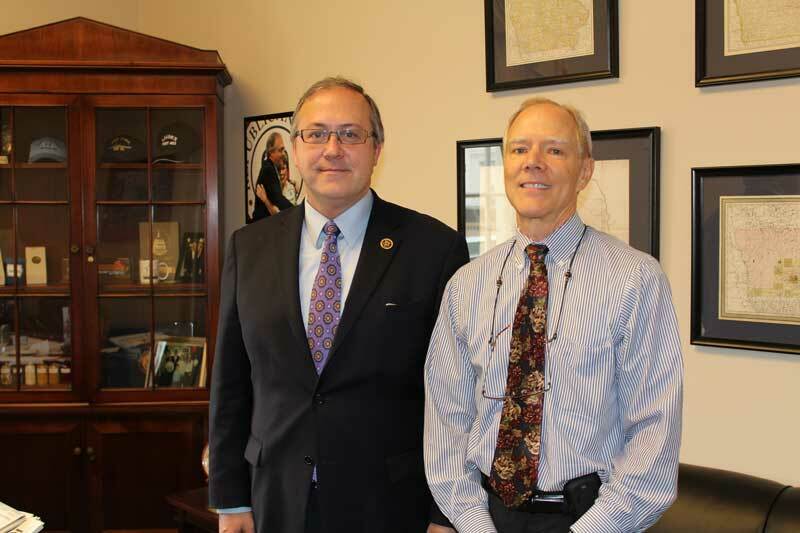 Dr. Steve Thies recently attended the AGD’s Hill Event in April of 2015. The Iowa Academy of General Dentistry is very actively involved in advocacy for dental issues that affect dentistry and the practicing general dentist. Advocacy on behalf of the dental profession is extremely important. There are many dental issues at the state level and the national level affecting the daily practice of dentistry. As dental professionals we must be involved in the legislative process to insure a reasonable outcome. The IAGD members meets with Iowa legislators when there are dental issues in the legislature to educate the legislators about dentistry. IAGD encourages practicing general dentists to make a connection with their local legislative representatives. The legislators are very receptive to information from their voting constituents. The IAGD meets and collaborates with other professional associations about dental issues. Cooperation with other dental professional associations creates a unified action on behalf of dentistry. An IAGD member regularly attends the Iowa Dental Board meetings and monitors the board activity. The board welcomes dental representatives and their comments at the board meetings. All IAGD members are encouraged to attend the meetings. Regarding the Iowa Dental Board currently there are notable issues that the IAGD is monitoring. Special provision allowing retired dentists to practice in charitable dental events. The IAGD strongly believes that advocacy is important for the dental profession. Legislative and third party actions can negatively affect the dental profession and the practice of dentistry. Dental involvement is a must to protect the profession from negative influences.